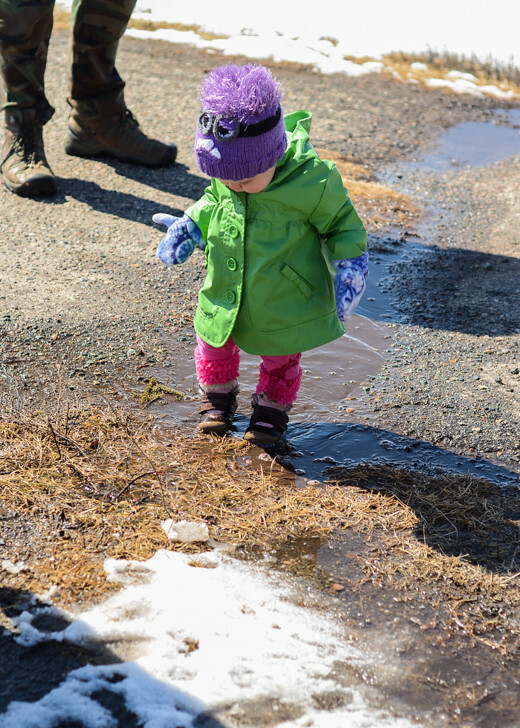 The other day the kids took advantage of the massive puddles that were created by the fast-melting snow. 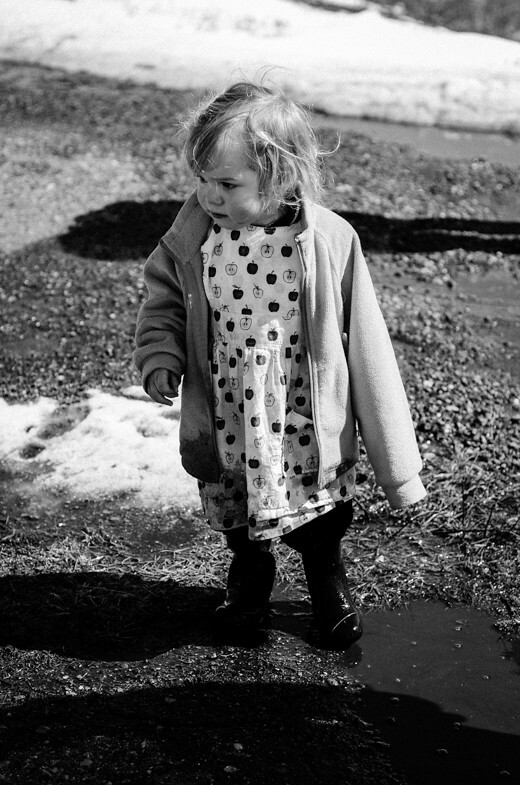 It was quite the job trying to keep Helen happy with the smaller puddles and away from the deep ones. Is the snow gone where you live? Or do you live in a climate that never see's snow? no I do not have snow right now . it all stopped 1 month ago . I am glad I am very tired of the cold.it is nice for a while but getting outside in the warmth fells much better to me. 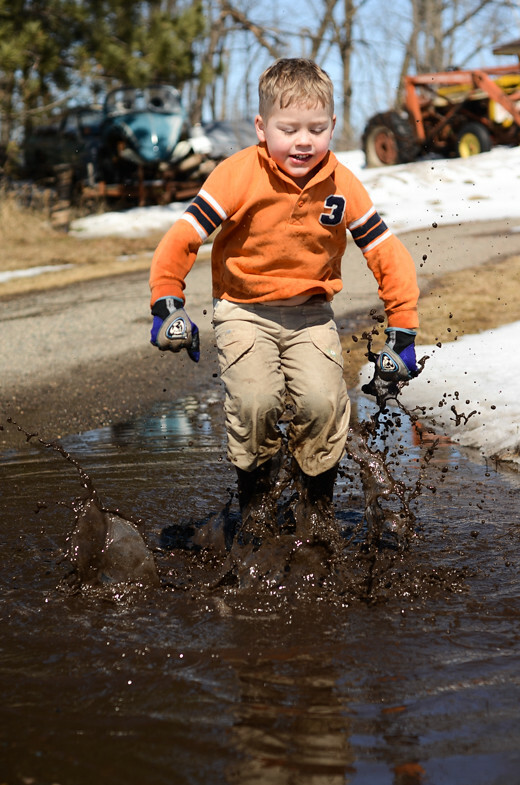 I know just what it is like keeping young ones out of the deep puddles! my younger brother does not take no for an answer. :) also I wanted to know what camera you use ? because you get the pictures at the perfect moment . is that the camera or lots of practice? 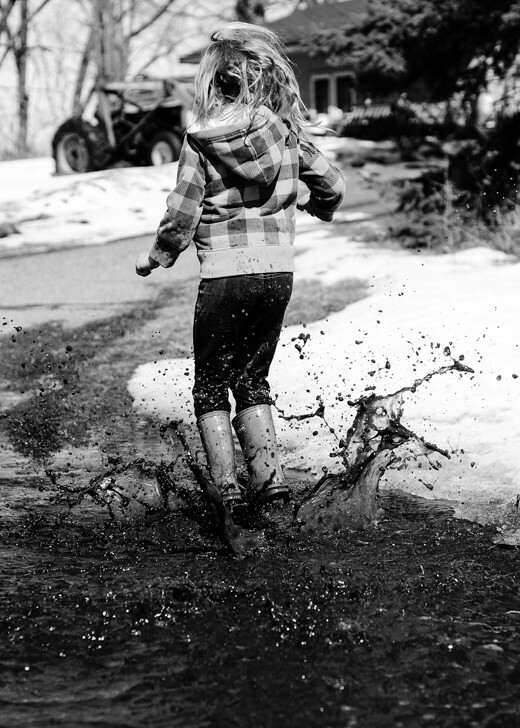 Loved the skill and accuracy with which you have captured the beauty of those perfect splashes. And your daughter's photos are always so very cute!